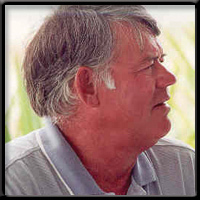 Captain Lamar Joiner, Sr. A local legend of tarpon fishing, Capt. Lamar Sr. is one of the best! Aboard "Miss Sarah, a 31' Morgan, your party of six can comfortably fish Boca Grande Pass. 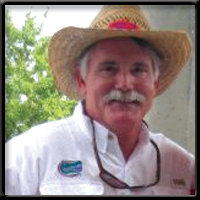 Captain Willie Mills 2012 World's Richest Tarpon Tournament 1st Place Winner! Capt. 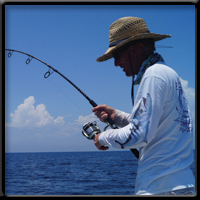 Mills, specializes in both back bay and tarpon fishing. With a 24' Morgan for Boca Grande Pass, and a ProLine flats boat for the shallows, Capt. Mills can get you to the fishing hot spots you're after! Captain Matthew Coleman 2012 World's Richest Tarpon Tournament 3rd Place Winner! Capt. Matt has a long family history in and around Boca Grande. Fishing both back bay and the pass, Matthew is an excellent charter guide for the area. Captain Eddie Potter Coming from an area fishing family, Capt. 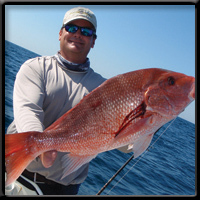 Potter fishes from a 21' Shallow Sport and a 22' Pathfinder both in the gulf and inland waters. From families with young kids to the most experienced fly fishermen, Capt. Eddie will work hard to make your trip enjoyable and productive. 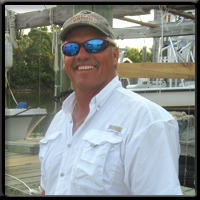 Captain Robbie Hayes Captain Rob Hayes is a 4th generation Boca Grande fishing guide. 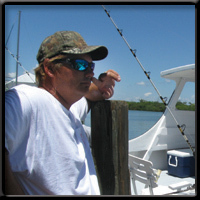 Being raised on Boca Grande he has taken in the love of fishing and turned that passion into his career. In a 20' Lake-N-Bay flats boat, Robbie can take you where the fish are! Tater Spinks Captain John "Tater" Spinks is another of our long-term guides who has been in the area for decades. Aboard "Anejo," a 36' Bruno Stillman equipped with a bathroom, he can accommodate up to 6 anglers and is perfect for a family charter. 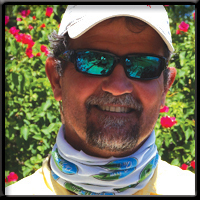 Captain Butch Barnhill is a superb inshore guide! If you're fishing for something to eat, this is your Captain! Redfish, Trout, and Snook (when in season) are always on the menu with Capt. Barnhill! His 22' Aquasport can fish 4 comfortably. Captain Frank Davis fishes inshore and offshore in the waters of Boca Grande, FL on his 24' Morgan, "Native." Frank is a strong proponent for live bait fishing in the Pass. 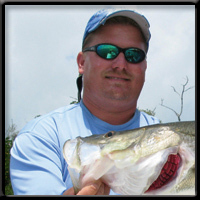 Frank's light-hearted nature and quick wit will provide you with a fun trip of excellent fishing! 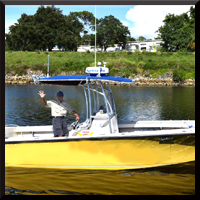 Captain Mike Wise Our "WiseGuy" Mike is a favorite for the waters in and around Englewood, Florida! Mike has lived in and fished Englewood for well over 40 years. Aboard his 24′ Parker, he fishes nearshore and offshore trips. With his pelagic license, Mike is able to go out further than the typical 9 miles that most area captains are restricted to. 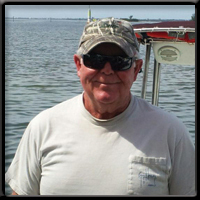 Captain Gabe Kovacs of K2 Fishing Charters is our Venice, Florida captain who has over 43 years of fishing experience. Located right by the Venice Inlet, Capt. 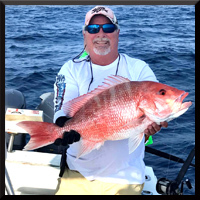 Gabe is ready to take you fishing offshore in the bountiful Gulf of Mexico.He offers both day and night inshore charters as well. SEASONAL SPECIAL: Capt. Kovacs is offering 4 hour night trips for Snook aboard his Carolina Skiff. Please contact us for further details. Captain Chuck Williams fishes the waters of Venice, FL and Sarasota Bay. A fun and energetic guide, Capt. Chuck welcomes novice and experienced anglers aboard his 24' Robalo. 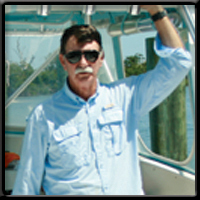 Captain Hank Evering is a expert in back country fishing in Charlotte Harbor and Tampa Bay. An award winning tournament fisherman, Capt. Hank can put you right on Redfish and Snook. The Evering's 22' Pathfinder is the perfect shallow water vessel. Full day charters only.